Penguin Young Readers, 9780448462653, 32pp. What happens when you try to make an ice cream cake, but add too much stuff? 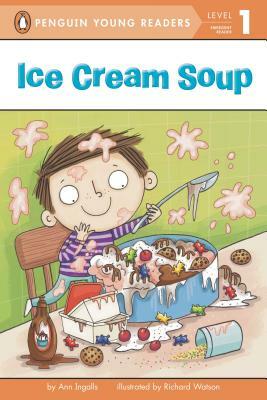 You end up with ice cream soup! This original Level 1 reader with rhyming text is perfect for beginning readers. Ann is a writer of both adult and children's books, including The Little Piano Girl: The Story of Mary Lou Williams, Jazz Legend.